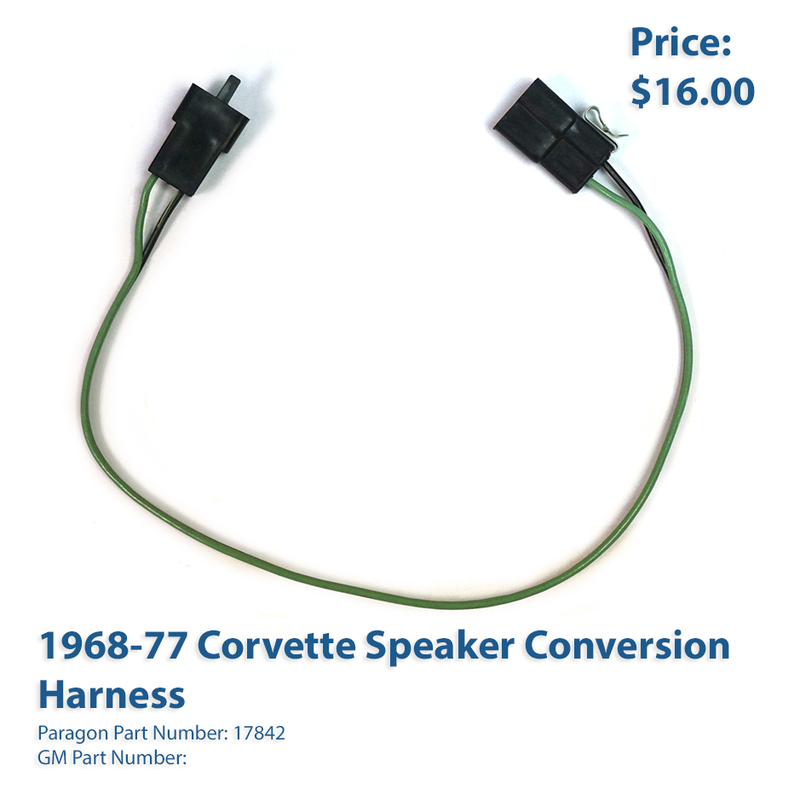 Now available at Paragon: 1968-77 Corvette speaker conversion harness. Use when installing original, replacement or aftermarket speakers. Comes with correct connectors for hook up to original wiring and current GM replacement speaker, or cut off speaker and solder wires directly to original or aftermarket speaker. (2) required per car.